Below is the police report filed in Ocean Springs, Mississippi on September 12, 2016 by a victim alleging stalking by Dustin Boles, founding and former lead pastor of Mosaic Church. Copy of police report provided by Dee Parsons at The Wartburg Watch. We are getting information that prior to Mosaic Church, Dustin Boles was a pastor at Harbor Light Family Church and then The Met Church, both in the Dallas-Fort Worth area. Does Boles have any victims from his time in Texas? Are there any child victims from youth ministry? We hope anyone who has seen, suspected or suffered abuse or harm by Dustin Boles will come forward and report to law enforcement, seek help to heal and protect others. The light of truth and knowledge is our greatest tool to protect kids and others who are vulnerable. 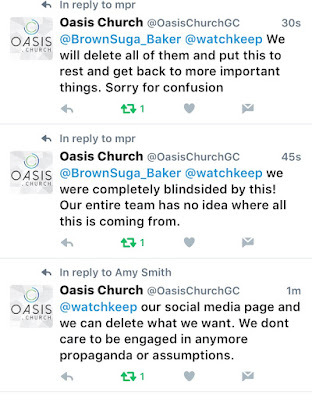 Embedded below is a messsage from Mosaic elders and staff and Dustin Boles letter of resignation. The direct link is here. 25:36. When we first heard the allegations. I'm going to be honest with you guys. When I first heard the allegations, the first thing I wanted to do was cover up. I did. I started thinking of places we could bury bodies . And it lasted about a half a second. And, the-uh, I shared the allegations with the other elders, we set a meeting immediately, and that night, it was the very next morning at 6:00 am. Monday night I did not sleep one minute. I spent the entire night studying scripture. How are we going to navigate this, and where God drew me, were these verses right here. Verses 19 and 21 in Chapter 5 of Timothy. a pattern of behavior, going back a few months, maybe longer, we didn't have to go further than that, that was destructive to our church, destructive to families in the church, and that needed to be addressed. 29:07. Uh, eventually we got to confession, repentence, and um, there is uh, uh, uh, a public rebuke that is necessary, and I gotta tell you guys, this is the hard part, because I am a flawed man, just like Dustin is, just like you are, and to rebuke another flawed man is painful. The verse that says this needs to be, um, let's see. Um, this needs to be public, so the rest may stand in fear, this affected me. Because-I-myself, the other elders, staff, uh, as we see our brother have to go through this, the humiliation, and the hurt, the pain that has caused the church and peole. We are trembling, more resolute, more resolved than ever before, to be holy, as a result of witnessing what we witnessed. So that part is absolutely-- and I hope you will have that same resolve. All church discipline, whether it's members or overseers, has to be carried out with a motivation of reconciliation and restoration. Now, what does restoration mean? I don't know in this case. David was restored by God, but he still was not allowed to build the temple. That was left to Solomon. 'kay. All church discipline has to be carried out with a motivatin of love, of reconciliation, and restoration. NEVER can church discipline be motivated by vengeance or revenge. Never. Although that's human nature. Can't do it. 31:10. The next thing we had to decide was, how much details to give to you, the church. 'Kay. Well, we landed on, thanks to Matthew and-and-and- some other areas, we landed on we need to give you enough detail so that you know that there's not a coverup, when more details come out later. We need to give enough details to bring about reconciliation, repentenace, reconciliation and restoration. Uh, and that's it. 'Kay? Now, that's the church's responsibilty. And so I really believe, that as we prayed our guts out through this, that we've done that. And Dustin's going to speak to you in-in-in a few seconds, and add some more details to this. But after this, I am, as a leader, I'll be available to-all the elders will be available to meet with you guys going forward, anybody has any questions or needs to meet with us. But I'm- as far as--I'm turning the page, and moving forward, um, after this weekend, as it-as it pertains to the church. So here's a few words from Dustin, have you got that teed up? 32:24. [recording of Dustin speaking being played]. Uh, Mosaic Church, I'm grateful to get the chance to speak to you guys, and uh, the last couple of weeks have been, it's-it's-its hard to wrap my mind around it, I can imagine what you guys are going through, and I just want to say right out of the gate, I'm just, I'm so sorry for what I've done to you, uh, what I've done to my wife, and what I've done to some people that have been good friends to me, and, uh, and, obviously what I've done to God, as well. And uh I wish I could explain it to you, I can't. I, uh. 33:14. Our elders have done nothin' but show me grace, you need to know that. Everybody's like, 'where's the grace? Where is it now?' and all that, it's, uh, I've gotten tons of grace. I've been forgiven, and uh, I feel forgiven, in that sense, uh, but the way this has to be handled, uh, it's difficult because, when you're a - when you're a pastor, when you're in the position that I've been in, uh, for the past 8 years, especially here, and in the last 23 years, uh, when you're in relationships with people there's a sacred trust that's given you, there's an extra amount of trust that's given more quickly than in most relationships, there's an expectation that-that you'll do the right thing, um, and that trust -- I betrayed that -- with people that I loved, and that loved me back. And uh, so, it's not that my sin is worse than yours, or anybody else's, it's just that it has to be handled differently, for my good, um, for your good, and for the good of the other people that are affected by this, and, uh, for the good of the church. 34:12. So that's, just so you know about all of our elders, they have been walking with me for 8 years. Nobody's put more time and more of their own money into this church than those guys. They love me, um, they didn't just all of a sudden turn on me. There, these guys are my friends, they're gonna be my friends long after everything is-is worked on, and uh, taken care of, in this situation. They're they're my friends, and they still want to be. And uh, so I'm grateful for that. And these men are prayerful, they're reading the bible, trying to say 'How does the bible apply to Mosaic Church right now?' They've been, they've been really good to us, just so you know, Nat and I feel loved by them, we feel loved by you. And we're extremely grateful for that. 34:51. Um, what about the future of the church? Well, uh, the staff that we have here is, is-- you can't even imagine what kind of people they are. Um, the gifts that they have, but just the kind of heart that they have. Uh, y'know what I've done's affected them. And they've loved me, and uh, and been kind to me through all of it, as well. These are absolutely competent, absolutely uh, godly people, so you have a great staff, that hasn't changed at all. 35:20. Um, as far as me bein' your pastor, you know, that's a question, that's something that I'm not even willing to entertain in my own mind. Um, I'm, I- couldn't be. Uh, uh, I-I-I have things to work on, and I'm gonna do that, so. You guys, instead of wishing me to be your pastor, pray for me, and pray for me and Natalie and our family, so that we can become the kind of people we need to be, and work on issues, and answer questions like, 'How could I have done this?' 'How could I have risked all this?' and people's lives, and uh, been careless, and selfish, uh, those are questions you need to pray for me to be able to answer. So that would be, uh, very helpful. 35:56. And uh, so I don't know those answers right now. So, uh, I just know that I love y'all. And my actions haven't shown it recently and I know that, but man, I just-- I don't know of any pastor who has been treated the way I have by y'all all over the years, it's -- and the way you've treated my wife, and my kiddo, it's been - it's been-- I-I don't take that for granted, uh, even though my actions say that I have, I'm just-I'm super-grateful. 36:19. As far as me and Natalie, and many of you guys are concerned about us. Uh, I'm-I'm grateful for her, and our families are there with us. And Natalie and I are doing a very intensive counseling, uh, we're in it for a long time, and um, y'know, we're gonna - we're gonna work on all that together. Um, we're praying Psalm 51 together all the time, where David committed adultery with Bathsheba and had to repent, and we pray that almost every day. And uh, we're holding ourselves accountable, and giving ourselves accountability to other pastors who love us, and so God's gonna heal us. 36:52. And uh, so many of you guys have asked, 'When am I gonna teach again?' and all that stuff, and I don't know, and I don't know what God's plan is for that. I know He loves me, I know He's not done with me, um, but what He does next I don't know. And uh, all I have to do is get healthy, and uh, make sure I'm the right kind of man that God can use. That's all I want to do. And uh, so Nat and I are together, we love each other greatly, uh. We don't know where we're going to go. We're going to be in Ocean Springs for the forseeable future, until God tells us what to do. 37:18. But just thank you Mosaic, I'm so sorry for what I've done, uh, to you. And uh, everybody's praying for me and feeling for me, uh, there are other people that are affected by this, and uh, don't forget them, pray for them as well, and pray for our elders, they have the biggest job of all, helping navigate the church back onto the mission. 37:36. Uh, there are 180,000 people on the gulf coast that don't have a church home. And, uh, if I were them, I'd go to Mosaic. And uh, so don't forget that. And just one last thing. It, um, - I'm not in a position to preach to anybody, but I still believe Jesus died and rose again, you know I do, I've always belived that, um, it's what I've always relied on, so, what I've done over the recent months, and the things I've done, doesn't change what He did. So please don't-don't let what-what I've done cloud what He did, hold on to that, and, uh, I love y'all. I'm grateful. Being the pastor of Mosaic Church is one of the joys of my life, and I'll never ever forget it. God bless you guys." 38:17. DOUG MOLYNEAUX. We've always been about grace, the gospel is about grace. Um, and one of the things that Dustin said there, that I really want you guys to feel is, there are other people affected by this that need our prayers, and need our grace, and need our love, here too. 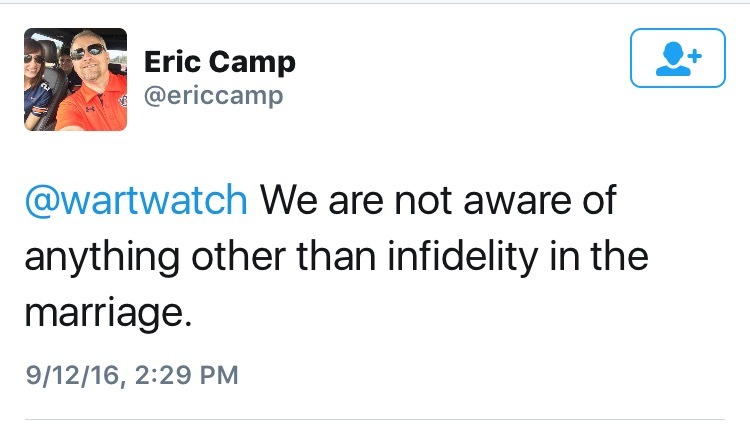 And, um, the church has put out all the details that we're required to put out, and um, more details will likely emerge over the next weeks, you'll hear a lot of, uh, thing out there, some will be true, some of them won't be, uh, it's not the church's place to-to confirm or deny. But we're movin' forward. Uh, and all that other stuff is just gonna be noise, that we are, as elders and leaders, have to ignore right now, as we look forward to the future of Mosaic. What does that look like? 39:07. Oh first of all, uh, I should share with you that we have hired an Executive - not an Executive, a Lead Teaching Pastor recruiting group? For lack of a better word. They're a- that's all they do. They staff churches. This group is called the Slingshot Group. You want more information on 'em, go to slingshotgroup.org. And they have a division in their company that is 100% focused on Lead Teaching Pastors. Um, they will be in our church the week-weekend of the 23rd and 24th - two weeks from now. They will be spending all weekend with our staff, spending a lot of time with our elders, they will be at every service, and understanding our church and our beliefs, our core values, that will never change, we will always have core values of truth, of worship, community, and outreach. We'll always be a "Me Too" church. We'll always be Open-Hand/Closed Handed. Uh, we'll always be about making a big deal about Jesus. We will always teach verse by verse through the books of the bible. We will be a bible teaching, bible preaching church, never gonna change. "We are going to take this church to the next level, and we owe it to Dustin to do it as well. It's what he wants, it's what we all want." Dustin is an amazing preacher. He's not the only amazing preacher out there. So we are not going to miss a beat when comes to the preaching. The rest of it is character and chemistry with the staff. Leadership has always been with six dudes. We're going to bring a pastor in that we can get behind, just like we were behind Dustin, to let him do his job. We may have a couple of public forums, to help you get past this. Um, the uh, but aside from that, we're turning the page. Uh, there's an old Bob Seger song, one of my favorite songs in the whole world, "Turn the Page" and we're movin' forward. Let this be a lesson to all the church. You cannot keep this sort of stuff a secret not should you keep this stuff a secret. The community has a right to know what the highly publicized, public figure, Dustin Boles, has been up to. You wanted the public to come to your church, to listen to your teaching, and to realize how much you care for your community. You do not get to hide the bad stuff. If you truly understand the gospel, you'll be open and honest about the situation. Also, leaders, there are alleged victims and you need to make sure you convey that in your interactions with the community. Already there has been a major screw up by one of your staff members in this area. We will let you know what that is in the near future. Start protecting the victims and stop protecting the reputation of your church and your ex pastor. Shortly before he was forced to resign from Mosaic Church, Dustin Boles preached a message on Criticism: How to silence critics. He has since been reported to law enforcement in Mississippi. @BrownSuga_Baker @watchkeep All we suggested was marital restoration. End of the story for us. Hope you have a great day. 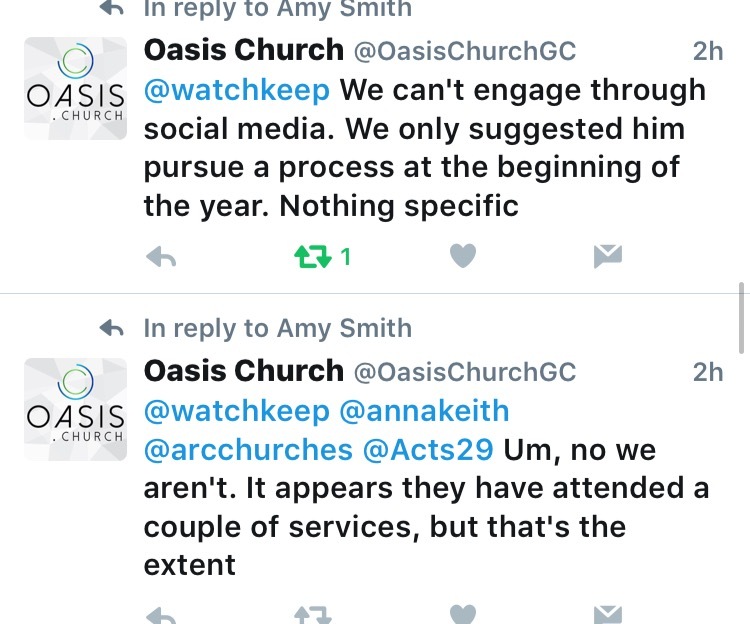 I have learned that Dustin Boles alleges that he has been offered a restoration process with Oasis Church and ARC Churches. 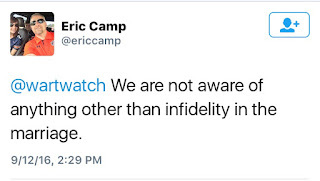 Oasis Church and lead pastor Eric Camp stated on Twitter that Oasis Church only offered him marital counseling.
.@OasisChurchGC @Jalison100 you need to communicate this with Dustin. He involved you. @watchkeep @ericcamp @OasisChurchGC and here Eric lays down the "law:" don't touch God's anointed. And he does with such awkwardness. 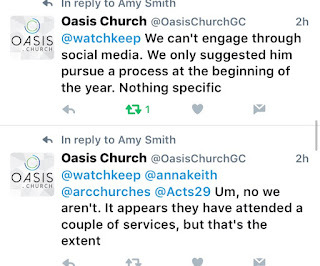 @watchkeep @ericcamp @OasisChurchGC so "touch not God's anointed" isn't propaganda but your valid questions are? 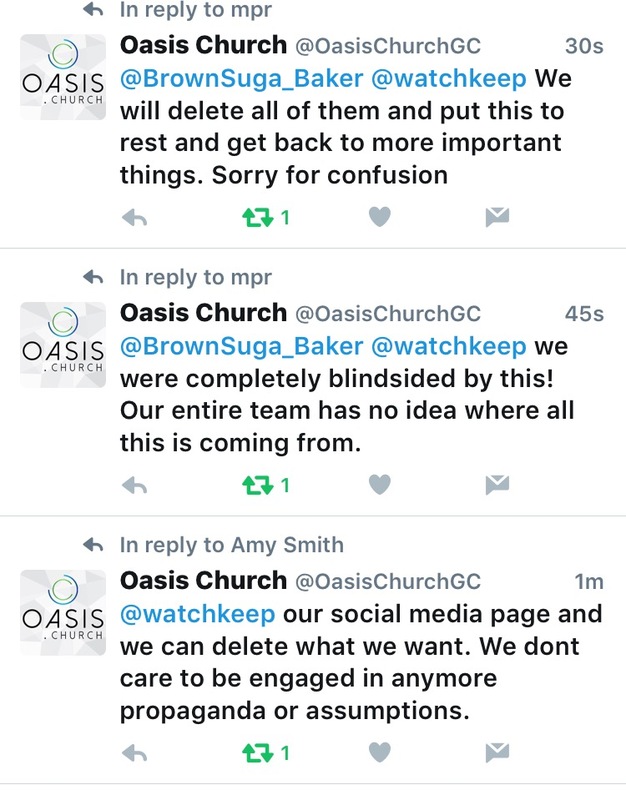 Last week I learned from Dee Parsons at The Warburg Watch that Mosaic Church pastor Dustin Boles resigned suddenly a few months ago. Mosaic Church is member of the Acts 29 church network led by The Village Church pastor Matt Chandler. 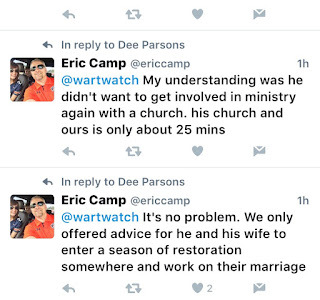 Dee received a call from someone alleging that Dustin has been accused of sexual assault of church members. I found a few tweets asking if Dustin had been reported to the police. Dustin is no longer pastoring a church and is working at Alvix Laboratories in Ocean Springs, Mississippi. Several adult women allege sexual assault by Dustin Boles. Are any of his victims minors or were minors at the time of assault? We hope anyone who has seen, suspected or suffered harm by Boles will come forward immediately and report to law enforcement, seek help to heal and justice to protect others. @arcchurches did you all report Dustin Boles to the police or is he free after sexually assaulting church members? From Warren Throckmorton: Dustin Boles is no longer at Acts 29 church Mosaic Church in MS (staff in March, staff now). He is working for something called Alvix Laboratories as of late August. 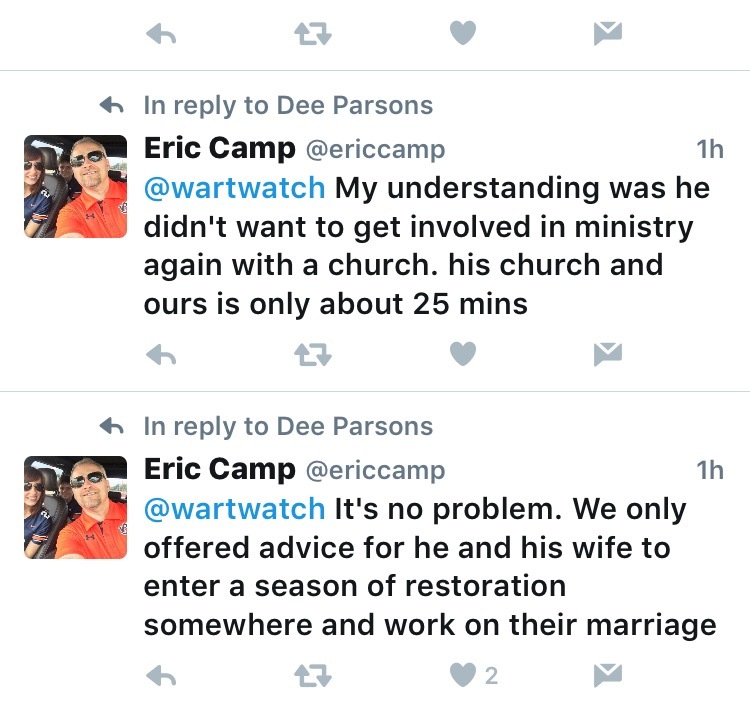 I tagged Biloxi, MS news station WLOX in a tweet asking why Dustin Boles suddenly resigned and is presently working out of ministry. WLOX replied with several tweets to me about Dustin Boles. I tagged WLOX again in a tweet regarding the allegations against Dustin. Earlier in the week, WLOX had asked me to let them know if I heard any allegations. After multiple replies to my tweets, WLOX accused me of spamming their mentions and ultimately blocked me after I shared with them the blog post by a victim. "Me Too" has been a common phrase we use at church. I've always loved the phrase because we all suffer from sin. We all have our own personal demons that we struggle with. "You cuss? Me too!" "You struggle with a gross addiction to nicotine? Me too!" The list goes on. It's helpful, right? We're not alone in our sin. But more recently, I've seen the phrase been used in regards to our Pastor and his "confession" that led to his resignation. When I see the phrase used in this case, I am overwhelmed with hurt and anger because I don't know if people would be saying, "me too" if they knew the truth. Our congregation deserves to know the truth. And after weeks of silence, I want to share it. I have spent hours praying and talking with friends on how to handle this situation. When you're sexually assaulted by a dear friend and Pastor, how do you go about handling it? I don't have the answer to that. All I know is that trying to heal from something that my predator has yet to acknowledge is very difficult. Trying to heal from something so horrific to only see people in his corner because they don't know the truth is maddening. How does one heal after being sexually assaulted by a dear friend and Pastor? Anyone? As my Pastor has said in his recent FB post, good friends were apart of his sexual sin. What he fails to mention is that we are victims of his sexual sin. I loved him as my friend, Pastor, he called us family. I considered him my family. I trusted him, my husband trusted him and my children trusted him. Like many evenings, one particular evening was spent with said couple. I started this evening like any evening spent with them -- Lightheartedly. It turned into an evening that is one of the most traumatizing of my life. My Pastor and dear friend sexually assaulted me. He forced his will on me, under the table, while our good friends and my husband sat feet away. When he started, I sat like a statue, unable to react, speak, think. I wanted it to go away. I didn't want to believe my dear friend and Pastor was capable of this. I was numb and heartbroken. My friend who was sitting across the table saw what was happening. We both kept quiet, we both pretended it wasn't happening. We both wanted to protect our good friend and Pastor. The sexual assault didn't end there. It continued throughout the evening. My only thought was, "I can't let my husband see this, he will kill him." But I had no intentions of ever telling anyone, at this point I wanted to protect my friend and the thousands of people who believe in him. The thousands of people who attend our church to hear him speak. HOW can this be happening? I'm being sexually assaulted by a man that thousands look up to. I continued to endure the sexual assault and did my best to keep everyone's attention elsewhere. "Don't look down, don't look down, don't look down. I'll keep talking about nonsense so they don't look down." Eventually, it was the end of the night and my husband abruptly whispered to me, ”We are leaving, NOW." We walked to his truck as said couple followed us out. My husband sat in the driver's seat, I'm in the passenger and my children in the back. His wife was at Kevin's window and my Pastor was at mine. She distracted Kevin so my Pastor could continue his sexual assault on me. He reached into my husband's truck and continued to touch me while she kept my husband's attention. Meanwhile, my innocent children were in the back seat and that realization is physically painful, thinking back. What if they saw their Pastor's hand in my lap? I tear up thinking about it. With that, I have a very hard time believing his wife didn’t see what was happening. In fact, I whole heartedly believe she saw after hearing a confession from another victim. Again, I sat in silence. I thought if I ever told my husband, he would kill him. I just wanted it to go away. On the drive home, Kevin shared with me why we needed to leave immediately. He saw our Pastor touching my friend's leg in the hot tub. My husband was sick about it, I sat it shock now realizing I'm not the only one. I confessed to my husband what happened, we spoke with the other victim that eventually turned into victimS and the rest followed. I am so fearful to share this. Fearful that people who don't believe me will do ugly things that will indirectly affect my children. I'm afraid to come across as vengeful. I'm afraid my predator will come after me in some way once he finds out I've told everyone. But the truth is, I live in fear every day since this happened. I live with a heavy heart, I live in pain. Because of one man's selfishness, he's affected so many aspects of my life. My life is already lived in fear/sadness/anger, so why not share the truth? People deserve to know. I believe everything our Pastor said at the pulpit. I believe every word. My faith has not changed, Jesus is King. Jesus will heal me. He has never left me. Where was Jesus when my Pastor was touching me? I'm still having a hard time with that. Our Pastor was capable of doing this and getting up the next day and speaking God's Word. I can't wrap my head around that. My heart aches for everyone, but not for our Pastor. My heart aches for my children who have had to witness a broken mother. My heart aches for the other victims. My heart aches for the congregation. My heart aches for the church as a whole. My heart just aches. I struggle with knowing if this is an appropriate thing to speak publicly about. I've stayed silent out of fear but I don't want fear to control me anymore. I allowed fear to control me that night and allowed a man to touch me only where my husband has, something I still don't understand and hate myself for. Weeks after this happened, I am left with feelings as though it was yesterday. My heart physically hurts. When I hear of different things being said, I am sucker punched all over again. The truth not being told is continual torture for myself and the other victims. I hope my post helps the other victims come forward because what happened to me pales in comparison to what has happened to them. And I hope sharing this painful experience will protect women. I feel responsible to protect potential victims from this. I do believe in our common phrase as a church, "Me too." I believe in supporting others through their sin because we are all sinners. But I ask of those who are full supporters and will continue to be full supporters of our Pastor, remember the women and husbands of the women he has victimized. Please remember the daily struggle it's been for us. There will be years of healing for us. And for those who may hurt as I am right now after reading this, I want to apologize to you. I am sorry you're hurting. If you're hurting, I'm right there with you. Me too.